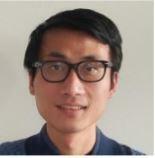 Alex Zhang is a Principal Product Manager at AWS Elemental. He has six years of experience at AWS working closely with Video Publishers, Ad Tech Vendors, and other OTT providers in the Media & Entertainment and Monetization space. His passion is in bringing diverse workflow components and helping publishers unlock the full monetization potential of their premium video content. Prior to AWS, he worked in e-commerce as a Senior Analyst focused on A/B testing to maximize ROI of the digital shopping experience.